My apologies if this isn't the most relevant forum to post this question. I have a mail merge document designed to present information on two distinct records per page. When I have two records, or an number of records divisible by two, I always get a trailing empty page. 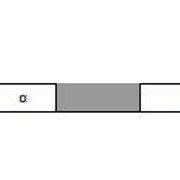 When I view my document with formatting marks visible, I see my record tabel has a paragraph marker before and after it. I suspect this is the problrm, that the trailing paragraph is carrying over to a new page. If I am on the right track, how do I remove that trailing paragraph? I trust to leading one will ensure that a space is left between the two records presented on the page. If there is something more sinister, please point it out and advise how I can repair it. I've noticed I have this field at the end of my table before the paragraph marker. How are you ensuring that you get two records per page? Looking at your screenshot it appears that the page has a header and footer. That would be awkward with two documents per page. Hi GMayor ... I am not very knowledgeable to answer that question with any confidence. All I can say I have been using this for years (just only now getting around to try to tackle this annoyance. Requires a step of manual editing I was hoping to avoid) and the result have been consistent. I think perhaps because the table is a set height that only two records using this table would fit. Understand it's two records per page ... each record filling the table. Two tables per page. If it's three, I get one page of two records, a second page of 1. If it's four records, I get two pages of two and a third empty page (except for header/footer) etc etc. If you can supply the merge document and some dummy data (send it to supportATgmayor.com) I will see what the problem is. If you elect to do that put your form username in the subject of the message or it will be discarded. The effect may well be due to the fact a Word document must have at least one paragraph break following a table. If your two tables are filling the page, the trailing paragraph break would be forced to the next page. What process (if any) are you using to correct this manually? Hi Paul. That is what I assumed was happening but was hoping their was a way to prevent/avoid it. Once the mail merge document has been created, I go to the top line of thebody of the blank page and press delete. This removes the blank page. Graham, thank you so much for your generous offer to assist. I appreciate having two pros on the case and I don't want to disrespect anyone's thoughts or suggestions. Hopefully collectively a resolution can be found and shared with the community. Can you attach a copy of the mailmerge main document to a post? So, an apology is in order for basically duplicating a post. But, the solution there, like here, evades me. The problem is the conditional field that inserts a page break after the table. It is not required if you format the first two rows of the table as 'keep with next'. Hi Graham, thank you for providing me the solution. Things appear to be working wonderfully now. I very much appreciate your openness to share your skill.